If you don’t do anything special, your customers will see a window like this, confirming that a payment has been made. Customers can click the Return to Merchant button to return to your website if they choose, but it’s not an action you can count on. If you don’t have anything important to show customers after a purchase, this message works just fine. But what if there’s important information to share or extra steps you’d like people to take after they pay? That’s where setting the Auto-return option in your PayPal profile really comes in handy. With auto-return set up, paying customers will still see the Payment Complete window after a transaction. The difference is that they’ll then see an alert telling them they will be redirected to another page. After about five seconds, customers are returned to the website page you’ve set up. Here’s an example of an Auto-return page that invites customers to join your mailing list after making a purchase. Make a donation (for nonprofits). Go to your Blog summary page. Go to your Products page. There are four steps to setting up Auto Return: set up the website return page, change your PayPal business account profile, and ensure the PayPal buttons you’re using on your site do not have “Take customers to this URL when they finish checkout” selected in the button options. Then update the button code on your site. The return page is a regular website page, but should be hidden from navigation so regular website visitors don’t see it. To meet PayPal’s terms, the return page must have an acknowledgment of payment received and a notice that the customer will receive a receipt by email. The return page has whatever additional text, images, links, or buttons are appropriate for the purpose of this default return page. Go to your PayPal account’s Profile and Settings. Next to Website preferences, click Update. Click On for Auto Return and provide the URL of the website return page you created. Create or edit buttons to ensure that this field in Step 3 is blank and unchecked: "Take customers to this URL when they finish checkout." Generate the button code and place the button code into the appropriate places on your website. Include or link to a scheduling page so customers can make an appointment. Include or link to a form that needs to be filled out (such as a waiver or an intake form). Include or link to a downloadable file related to the purchase (a PDF, an audio file, or image files). Include a link to a specific blog post related to the purchase. Include a link to upcoming events. 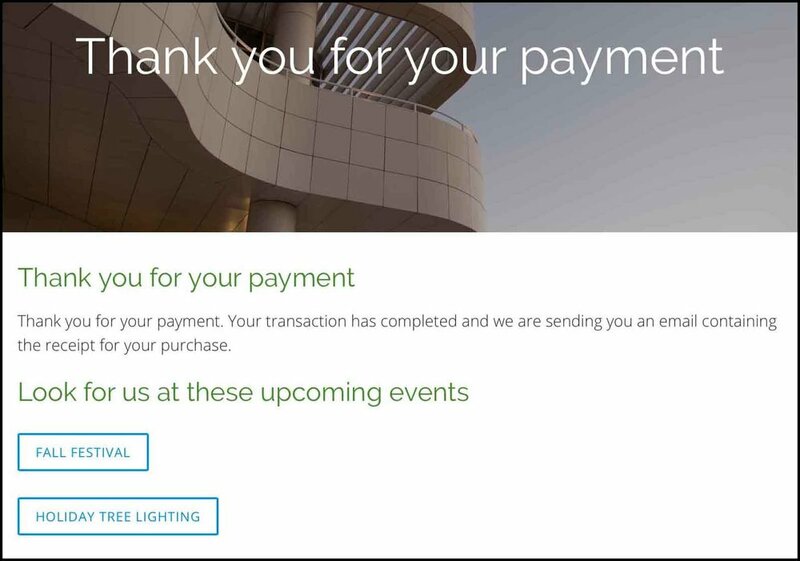 Include a thank you page that requires special text or images specific to the transaction. To set up an override return page for a certain payment transaction, first set up the override website return page and then ensure the PayPal button you’re using on your site for this transaction has the option “Take customers to this URL when they finish checkout” selected and the URL goes to the the override return page. Then update the button code on your site. The override website return page has the same characteristics as the default return page, but you have more leeway in the extra information you add. The override return page is a regular website page, but should be hidden from navigation so regular website visitors don’t see it. To meet PayPal’s terms, the override return page must have an acknowledgment of payment received and a notice that the customer will receive a receipt by email. The override return page has whatever additional text, images, links, buttons, or files are appropriate for this override return page. Create or edit buttons to ensure that this field in Step 3 is selected and contains the URL for the override return page you created: "Take customers to this URL when they finish checkout." Generate the button code and place the button code into the appropriate places on your website. I have my client Celebration of Reiki, Inc. to thank for finding the PayPal Help document that led to us implementing the Auto-return feature on their website. However you implement this feature, I think it’s a nice practice to return customers and donors to your website to invite them to explore other pages on your site.